Man: The printer remained idle except when the user invoked a print function. All: The printer printed each number entered, each function and each result. Norm: Like All, but the printer didn't print each result. Useful when doing long chain calculations. Print x: Printed the X register. List SUM: Printed the summation registers. List Stack: Printed the four level stack. List Reg: Printed all 16 registers. 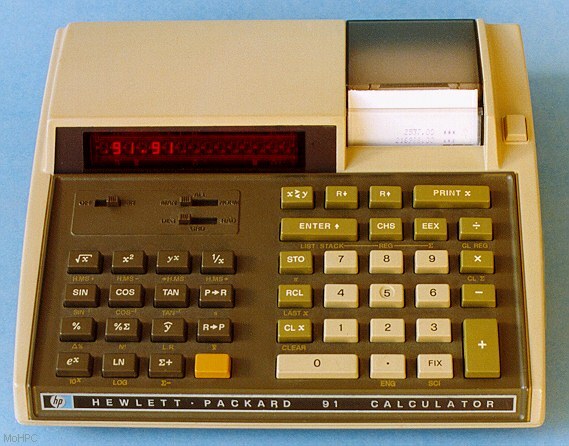 The HP-91 was based largely on 20 Series technology. In addition, it added LED drivers for the larger display, and a new Printer Interface Control & Keyboard buffer circuit (PICK). 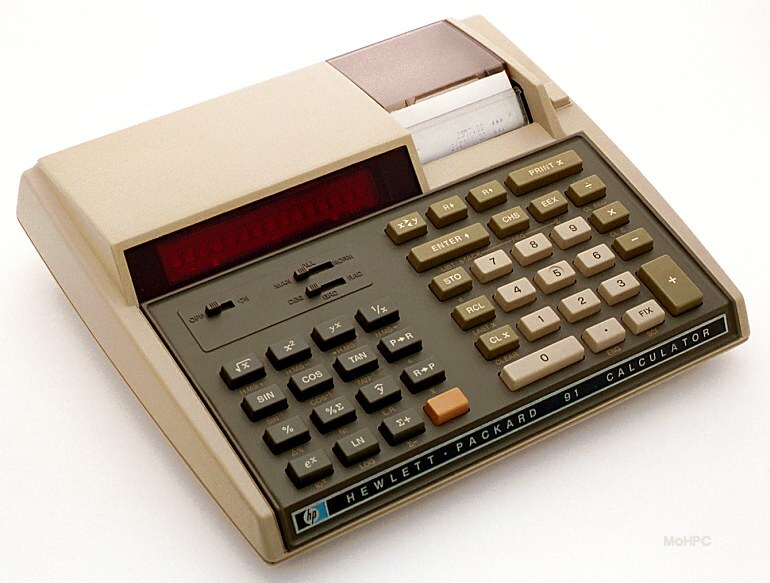 Unlike the handhelds, the desktop machines used a light feeling keyboard well suited for rapid data entry on the desktop.